Law enforcement agencies have been tracking terrorist groups dispatched to the Russian capital since the end of last year. 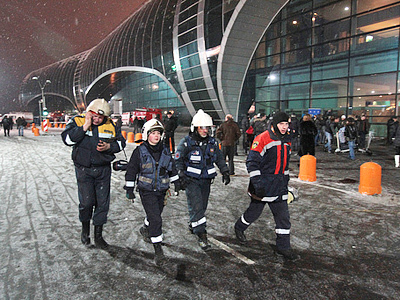 ­The Investigative Committee has not made official statements regarding the investigation into Monday’s terrorist attack at Domodedovo Airport. It is not even clear if the suicide bomber was a male or a female terrorist. One of the witnesses told investigators the baggage of a woman wearing black clothes had exploded, the media reported. Sources in law enforcement agencies told RIA Novosti that a female terrorist had carried explosives on her body. She was allegedly accompanied by a man. The bomb exploded at the moment when the woman tried to open a bag, the source said. According to the source, it is not ruled out that the terrorists intended to leave explosives in the hall. Earlier reports said fragments of the body of a suspected male terrorist were found at the airport’s international arrivals area. Spokesman for the Investigative Committee Vladimir Markin noted that the bomb most likely went off on a terrorist rather than in a bag. There is no hole in the floor, he explained. The criminal case has been initiated on charges of terrorism, murder, illegal possession of weapons and explosives and illegal production of weapons. The bomb was brought to the airport from outside the airport rather than in a baggage of passengers that arrived by plane, investigators believe. The terrorist was likely to enter the building from the parking lot, sources in law enforcement agencies told Kommersant daily. The sources say the bomb exploded when the terrorist was near a café among people meeting passengers. The 30- to 35-year-old man was likely “of Caucasian or Arabic origin,” the paper said. Police are now searching for three men who allegedly brought the terrorist to the airport. Special services have been investigating a possible terrorist threat since December 31 last year when a small house was destroyed in explosion on the territory of a Moscow pistol club. A woman died in the blast whose husband had been detained for participating in armed groups of militants in the North Caucasus. The woman’s friend was later detained in Volgograd. They both are believed to have been sent to the Russian capital to commit terrorist acts. According to the investigation, radical Islamist groups from the North Caucasus Republic of Dagestan could have been behind the preparing actions. Since the beginning of 2011, security services have eliminated several leaders of armed groups in the republic. It is not ruled out that several groups with suicide bombers had been sent to the Russian capital late last year, Kommersant said. Monday’s attack in Domodedovo could have been prepared by leaders of “North Caucasus underground,” security experts believe. This could have been radicals’ reaction to a series of successful operations of security services in Dagestan and Ingushetia, State Duma deputy Magomed Vakhaev told the paper. 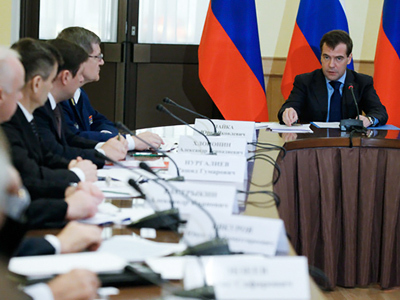 But another deputy, Gennady Gudkov, blamed law enforcement agencies in the North Caucasus for ineffective work. 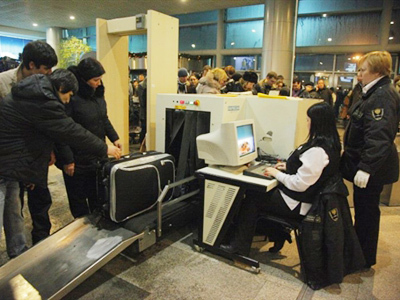 More checkpoints and stepping up passport control is not enough, he told the daily. The work of federal agents inside illegal armed groups is not evident, he noted. Gudkov doubts that the terrorist act in Domodedovo is connected with “successes of antiterrorist activities” in the North Caucasus. Success demoralizes the enemy, he said. “But it is not the case here, and that means that successes were a bubble,” he stressed. The management of the airport is responsible for what happened, former head of Russia’s Interpol bureau Vladimir Ovchinsky believes. Terrorists could have watched the disorder at Domodedovo at the end of the last year and “chosen it as their target,” he said. Bad weather conditions and power cuts in December 2010 forced passengers to wait for their flights in full darkness for hours. 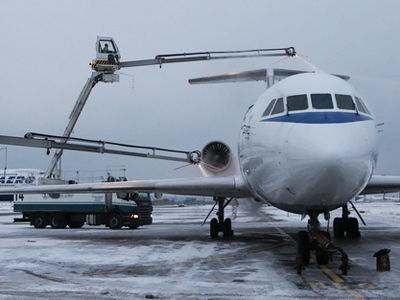 The head of Domodedovo Airport was subsequently fired over the flight-delay chaos.